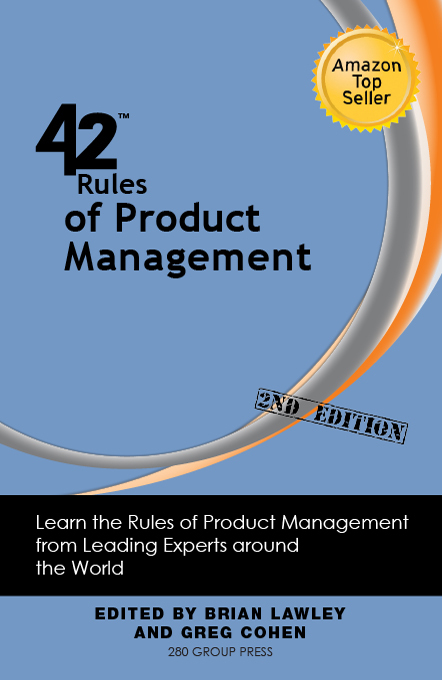 The 42 Rules of Product Management (2nd Ed) is a collection of wisdom from product management experts around the world. Brian Lawley is the CEO and founder of the 280 Group. During his twenty five year career in Product Management and Product Marketing he has shipped more than fifty successful products. He is the former President of the Silicon Valley Product Management Association, won the 2008 AIPMM award for Excellence in Thought Leadership for Product Management and is the author of the best-selling books 'Expert Product Management' and 'The Phenomenal Product Manager'. He is a Certified Product Manager and Certified Product Marketing Manager and has been featured on CNBC's World Business Review and the Silicon Valley Business Report and writes articles for a variety of publications including the Product Management 2.0 newsletter and Blog. Greg Cohen is a Senior Principal Consultant with the 280 Group and a 15 year Product Management veteran with extensive experience and knowledge of Agile development, a Certified Scrum Master, and former President of the Silicon Valley Product Management Association. He has worked and consulted to venture start-ups and large companies alike and has trained product managers throughout the world on Agile development, road mapping, feature prioritization, product lifecycle process, and product management assessment. Greg is the author of the book 'Agile Excellence for Product Managers' and a speaker and frequent commentator on product management issues. '42 Rules of Product Management (2nd Edition)' is a collection of product management wisdom from forty experts from around the world. With over five hundred years of combined hands-on product management and product marketing experience, the authors each shares one rule that they think is critical to know to succeed in product management. Whether you are a seasoned and experienced product manager or are just starting out, '42 Rules of Product Management (2nd Edition)' will help you lead with greater effectiveness and influence. Packed with pearls of product management wisdom, this book has something for everyone. Best of all, it was written with the busy product manager in mind. Each rule is kept to two pages and designed to stand-on its own. They can be read in any order. In less than five minutes a day, you can learn from forty of the best product managers in the world. 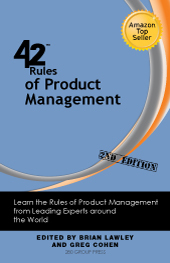 Want a branded edition of 42 Rules of Product Management (2nd Edition)? Read the Midwest Book Review.